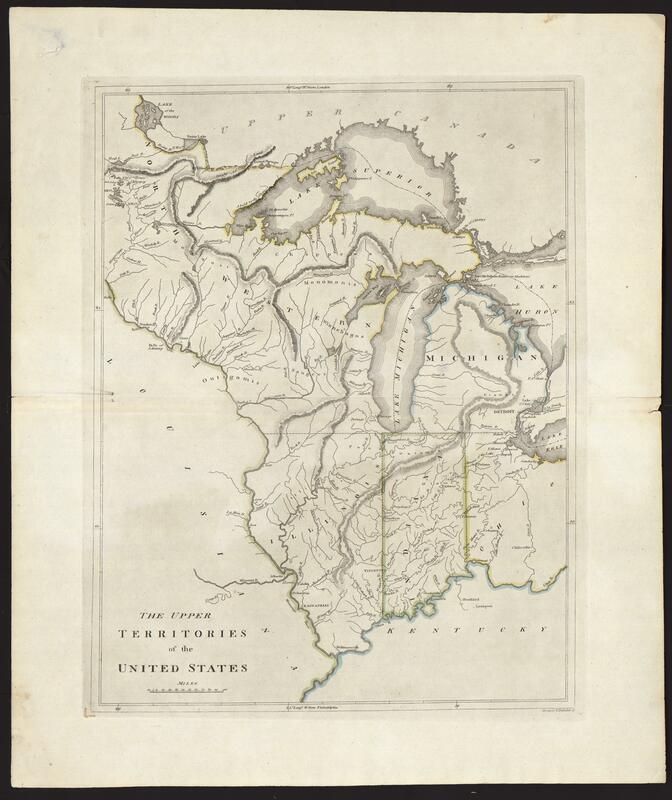 The upper territories of the United States Kneass & Delleker sc. Kneass & Delleker.,Carey, Mathew, 1760-1839.,Dahl, James, former owner. Relief shown by hachures. Prime meridians: London and Philadelphia. Map 25 from: Carey, Mathew. Carey's general atlas. Philadelphia: M. Carey, 1814. 1 map: hand colored; 42 x 31 cm This map is in the public domain. Please attribute access and use of this digitized map to the Stephen S. Clark Library, University of Michigan Library.